We are a friendly family club and actively encourage sailing for all ages and abilities. 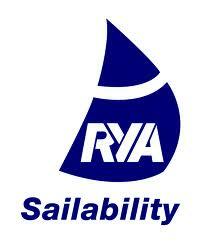 We run regular family sailing sessions and Junior training leading to the RYA Junior Sailing Awards. We're the North East Region finalist for RYA Yacht & Yachting Club of the Year for 2019. We promote dinghy sailing in the West and North Yorkshire regions providing sailing, power and safety boat training from absolute beginners to the highest level. Otley Sailing Club is committed to working with sailors of all abilities, we have just been awarded the RYA Yacht & Yachting 'Inclusivity and Open to all' Award for 2019 for all our work introducing sailing to disabled people. We also have a Sailability Centre of Excellence award and are an RYA OnBoard Centre offering sailing experiences to young people in the local area. Who's who at Otley Sailing Club? Sailfree sessions start again soon, new volunteers are very welcome. Please get in touch!